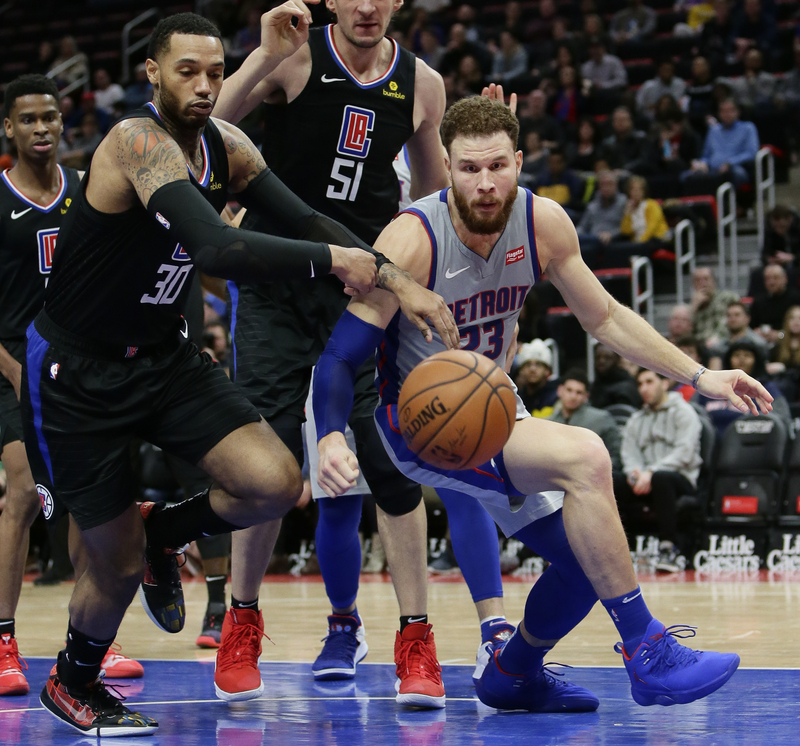 BOTTOM LINE: Blake Griffin leads Detroit into a matchup with Denver. He’s tenth in the league scoring 26.2 points per game. The Pistons are 14-12 on their home court. Detroit averages 14.8 turnovers per game and is 13-7 when they have fewer turnovers than their opponents. The Nuggets are 13-11 in road games. Denver is fourth in the NBA scoring 53 points in the paint per game, led by Nikola Jokic averaging 11.5. The two teams square off for the first time this season. TOP PERFORMERS: Griffin is scoring 26.2 points and averaging 8.1 rebounds for the Pistons. Luke Kennard is shooting 44.4 percent and has averaged 10.5 points over the last 10 games for Detroit. Jokic ranks first on the Nuggets averaging 20.1 points and adding 10.4 rebounds. Malik Beasley has averaged three made 3-pointers and has scored 15.5 points over the last 10 games for Denver. LAST 10 GAMES: Nuggets: 7-3, averaging 114.5 points, 44.7 rebounds, 26.4 assists, 6.9 steals and 3.6 blocks per game while shooting 48.8 percent from the field. Their opponents have averaged 107.4 points on 45.6 percent shooting. Pistons: 5-5, averaging 100.6 points, 44.7 rebounds, 22.4 assists, 7.1 steals and 3.1 blocks per game while shooting 42.4 percent from the field. Their opponents have averaged 102 points on 46.5 percent shooting. Pistons Injuries: Ish Smith: day to day (adductor). Nuggets Injuries: Jamal Murray: out (ankle), Gary Harris: day to day (groin), Michael Porter Jr.: out (back), Isaiah Thomas: out (hip).